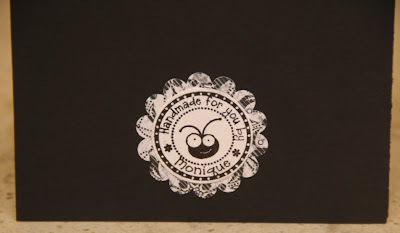 Monique Griffith Designs: Simple Wedding Card & Blog Candy Cricut Stamp!! I love this card Monique..very pretty! I love how you are able to utilize each cart for a different theme or occasion. It's so overwhelming for me! Thank you for a chance to win such an awesome stamp!! Super cute card! I love black and white for weddings. The stamp is cute too. They have some many great choices but in the end I think I'd get one like yours only with my name on it. Very nice card! I love the stamps It is so hard to choose which I like the best. I would choose one of 2 either the barcode stamp or the Vivine one. There are several others that I like too, they are all so stinkin' cute! You are just one amazing lady, that is an awesome card. And thank you for sharing how you did it. I want my stamp to be just like yours, well except for my name to be where yours is. Off to comment on the message board.. I really really want to win this one. Very cute card!!! Choices, Choices...I can't decide between the Barbara, Bell, or Cricut Stamp. I guess if I win I will have to hurry and make a choice. Thanks for the chance to win this. You made a really beautiful card. I'm sure the happy couple will treasure it - it's so much better than a store bought card. If I were to win a stamp I would choose the breast cancer address stamp for my friend. She is a breast cancer survivor but is now fighting liver cancer. 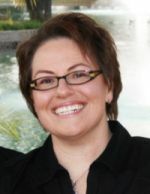 If you are a believer in the power of prayer, please add Sandy to your list. Thank you. I love this card, hard to believe it only took 30min to create, that's awesome. If I'd win I'd like the Simply-Because stamp. Thanks for the chance to win. What a cute stamp! I'll have to give it some thought, but I'll choose something related to Easter. well - all the stamps are so nice,,, but if I had to select just one..... it would be the martini stamp... perfectly stamped, not shaken!!! I really love your bughead stamp but if I win, I think I would want the bar code- priceless one! If by chance I would win I would like one like yours with my name in it. Like yours did. Thanks again! Cute card!!! Love the Mr and Mrs. I love the bug head stamp and would just have my name put on it. wow, they have a lot of cute things. That card is beautiful! Love the colors and love how you did the inside. That stamp is just the cutest thing ever! Thanks for the chance to win! Wow, so super nice giveaway Monique! Thanks. I've always said I need to get one of those personalized stamps. I think I like your wording just with my name, Claire. way too cute! I think I would love to have our family crest on it! Why use my ring to stamp into wax when I can also have an option of using a stamp! wow! Oh, what a cool card and I LOVE LOVE LOVE your stamp! So cool! I would love to get the barcode stamp...that would be so great for personalizing my creations! what an awesome giveaway, if i won i would love my stamp to say "commissioned for you and handcrafted by studio h"
WOW...I love them all, but if I win one, I'd like the one like yours with bughead and my name. Thanks for the chance to win. I love this card you made! There are a lot of stamps on this site! I like the bug stamp, but w/ my name, "Sherry", on it. What a great card. I think for my stamp I would like it to say the same as yours, but with Tammy on in place of your name. You card is so cute!!! The Stamp Out designs are so cute - I would probably chose the Cricut Stamp but the Think Pink Stamp is adorable. Thanks for the blog candy!!! Love the card! I guess I will have to add those to my wish list! I was the lucky winner of this week's blog candy I would want the stamp to say "Handmade for you by - Carrolyn"
Thanks for the candy. I would love one of these stamps! Gorgeous card! And I love, love, LOVE the Cricut bug stamp! Thanks for sharing your amazing talent with us! Beautiful card. I absolutely love the black and white theme. Very sophisticated. I'd love a stamp that says "Made Especially For You by Bev". Thanks for sharing your talent Monique! Nice card...30 minutes...wow! You amaze me. If I were to be the lucky winner, I think I'd choose between Alysia, Barcode, or cricut head. I don't know...if I win, I'll choose then.
" Personally Handmade for you"
LOVE this card! I never would have thought to look at ACY when I need to make a wedding card! Thanks for sharing this--and your cute cricut stamp!! I love that cricut bug stamp, but I also love that one that says something like... if you knew how hard I worked on this you'd never throw it away. too funny. Great Card!! I would choose one of the Custom Handmade by/Signature Stamps. It would be the Wendy style with my name. Hi Monique! Awesome card, I'm so glad you showed how to do a simple and elegant card in a jiffy. That will come in handy! I love the stamp, and if I win I'd like it to be just like yours, but with my name on it, of course! Each and everyone of your creations is truly awesome. The elegance of the black and white, understated, perfect! I want my stamp to look just like your, but with ME in the center!!!! lol, my name of course. Thanks for the chance to win. This is a great RAK! Love your "simple card". That would take me days to make..... Might have to scraplift it for my next wedding. Thanks for a chance to win the cute stamp. If i should win, I would love one just like yours but with my name. What a great card you made. Thanks for the chance to win also!! I would choose the same stamp as you have but with Scrap Happy Steph or Stephanie if that is too many letters. SO many choices. Thanks again! What a very pretty wedding card! Love how you did the inside with the extra flap, very nice touch. Luv your card.. If I won the stamp, I'd like one like yours with my mb name *BJ* on it.. I liked alot of those stamps. I may have to order some others. I need a grandma stamp for the cards I make my grandkids.. and a stamp for my scrapbook pages.. and etc.. Very nice card. Would love to win a stamp, but haven't decided on which one as yet - so many choices. I love the stamp also - the site has sooo many cute stamps. Would love to win one - I'd like the same stamp you have but with the name "Jessica Miller" if it will fit. What a fabulous giveaway and I bookmarked their site so I can go back! I just love this card, who ever is the lucky couple are going to feel very special when they open this card. Thank you for the chance to win this great stamp, I guess that I have no imagination, cuz I want a stamp like yours, only with Donna on it. Special friend to give you that stamp. Very pretty card! I love this stamp and would love the same design as you but with the name Lesley! You are very creative! I would love to win the stamp. I would like HANDMADE WITH LOVE BY SHERRI. That card is so cute, 30 minutes wow. I have the ACY on my list but the new releases keep getting in the way. Thanks for the chance to win that cute stamp, I would like it to be the same as your's but with "Bobbi" on it. bobbim1271@yahoo.com. Thank you! Your designs are amazing and your layouts are so cute! There are so many cute stamps to pick from. My favorite is the cricut head. I would like mine just like yours. I love the card. I didn't think I needed ACY...but I may have to re-think that now! Love your bug stamp. Would love to have that with: For You and then my name. Thanks for the chance to win a very cute stamp. 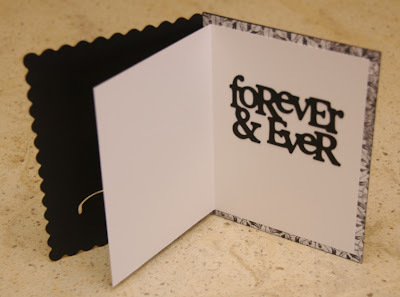 Gorgeous card so so elegant and loving the black and white it seems so romantic. Thanks for the chance to join in, if I had a choice I would go for the same logo as yours but with my details like the one to the left of your design on the web shop page i.e name and web address. What a gorgeous card that is! I am a follower of your blog, and I love it. What a wonderful giveaaway. I would love to win the stamp, as it is hard to get one like that in Ireland. I forgot to tell you that I would love the stamp with my name on it: Micki. Love the card - and love the stamp too! So creative in just 30 minutes! Keep up the wonderful ideas! Karen V.
Love your card and your blog. Hmmm, if I were to win, i'd love for the stamp to say "Handmade with love by Tuki"
You are awesome Monique, thank you! Love the card & the stamp. If I won, I would have a tough time deciding which I wanted. There are so many cute personalized stamps on the site. Monique.. this card is amazing... i love the outside but the inside is truly cool too... wow... doesnt look like a "shotgun" card to me..
Wow 30 min, I wouldnt even be able to come up with the idea LOL great job, very nice and classy card. I love the personalized touch that the stamp give it. hope I win!! Monique, i went there again and looked and saw even more ..i like the cricut one with Laura on it..
Love this card i have a wedding in 4 weeks. this would be a great card. I just have to use different carts,'cause i do not have any of those. thanks for the great idea. i love this card and I love the cricut stamp even more!!! I would love a handmade by!!!! OMGOODNESS! Your card is so elegant!! Thank you so much for sharing. I would dearly LOVE to have one of the stamps! I like it as it is but put Peggy instead of your name. Thank you for the awesome chance to win one of these!!! All of the stamps were so cute. I particularly like the return address ones. If I got the cricut head I would just put my name on it (Cinthia). I have been looking for a stamp just like that! Love your creations Monique! WOuld love to win the stamp too! The cricut bug stamp with my name would be great! Love Love this card and I found so many wonderful things on the stamp site. Thanks for the inspiration and the chance to win. GREAT card..simple and elegant!!! The stamp of my choice is Scrapbook naked your husband won't mind the mess...if I don't win...I'll purchase it...if nothing else to make everyone giggle!! I love the card. 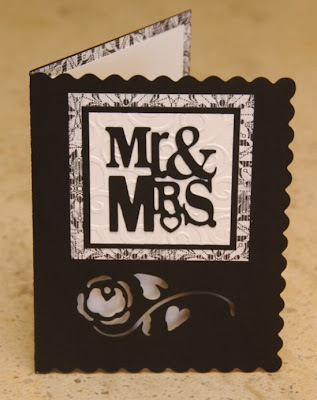 I think the black and white cards make beautiful wedding cards. I would love to have a stamp like that. I would want it just like yours only with my name "Debbie" on it. Thanks for the opportunity to win one. Beautiful card, very elegant, I love your work. Checked out the stamps, they are very nice. I would love one that is "created by Debbie"! Love this card but I love the stamp takes the cake! I would like one just like yours but with my name. TFS! I love this card and this stamp. Awesome giveaway! I love the wedding card and thanks for the opportunity of the stamp I would say Sharon aka I2BZ2W8 if that isn't too long. If I win, I'd like it just like yours but with my name Suzanne on it. Another amazing card made by you! Your work is fantastic and such an inspiration. 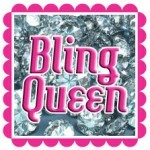 if I win and I hope I do I want my stamp to be just like yours but maybe instead of the cricut bug a crown. Love these stamps. Thanks for sharing the link and the opportunity to win one. If I were to win, I would like a return address label with the Palm tree in the middle. I think the stamp is actually called "Palm"
Happy Easter to you and your lovely family! Are you going to be doing a Mother's Day Layout this year? I am asking for a adhesive gun to make all your awesome layouts! If you hear of any really good deals let me know! I love the card ideas. The stamp is very useful. Rather nice site you've got here. Thanks for it. I like such themes and everything connected to them. I definitely want to read more soon. Wow, I have to say that is just an amazing result for putting something together at the last minute! That looks like something that was professionally designed for sure. Killer job! 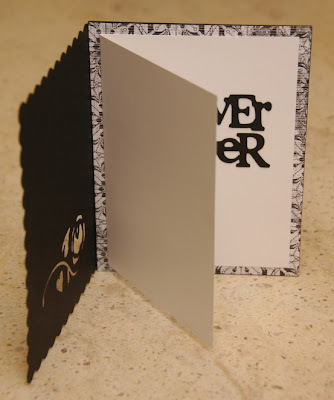 the combination of black and white color always superb as shown in above card. Love that stamping. Thanks for sharing this with me.